DiSanti Farms is a prominent farm on the St. Charles Mesa east of Pueblo, and one of more than 34,000 farms in Colorado. Sara (DiSanti) Genova grew up on that family farm and she’s part of a growing female farmer population. There are 2.1 million farms in the United States, with 14.1 percent of those being run by females. Women comprise 30 percent of all farmers when up to three operators per farm are included, as with DiSanti Farms, where Genova shares duties with her three brothers and her mother, RoseAnn. Her father, Jim, passed away three months ago. 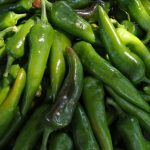 Visit the Pueblo Chile Display while at the Colorado State Fair. The display is located in the Colorado Building and features a large variety of peppers available to sample. 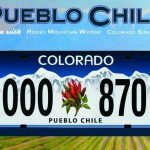 Celebrate Pueblo Chile Day with us September 2nd at the Colorado State Fair. 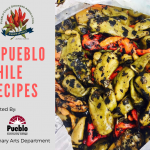 Local Farm Stands are now open and selling Pueblo Chile along with a large variety of farm fresh produce, baked goods and specialty weekend. Open 7 days a week. Head out to the farm this weekend for a great family outing. 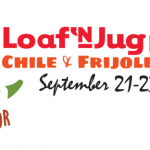 The 23rd Annual Chile & Frijoles Festival Presented By Loaf ‘N Jug is right around the corner. The savory aroma of roasting chilies signals summer’s end. Join us as we celebrate the harvest of the Pueblo Chile, September 22-24, 2017. Every year, thousands pay homage to the Pueblo chile. 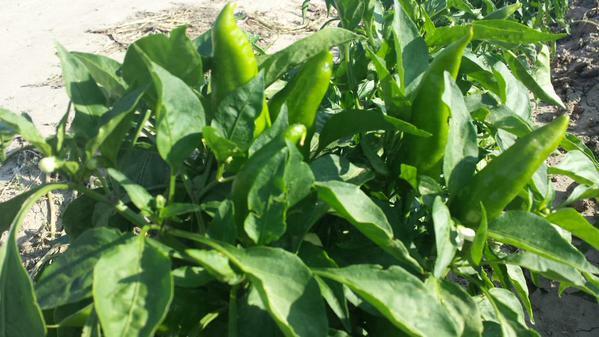 The event features music‚ arts and crafts‚ cooking competitions and chilies‚ chilies‚ chilies. Held downtown along Union Avenue‚ it draws Pueblo residents as well as people from across the state and around the nation.